A Redruth-based studio has announced the world’s first feature-length animated film powered by blockchain technology. Engine House VFX has teamed with SingularDTV on Back from the Dead Red, which is now in pre-production with delivery scheduled for 2020. 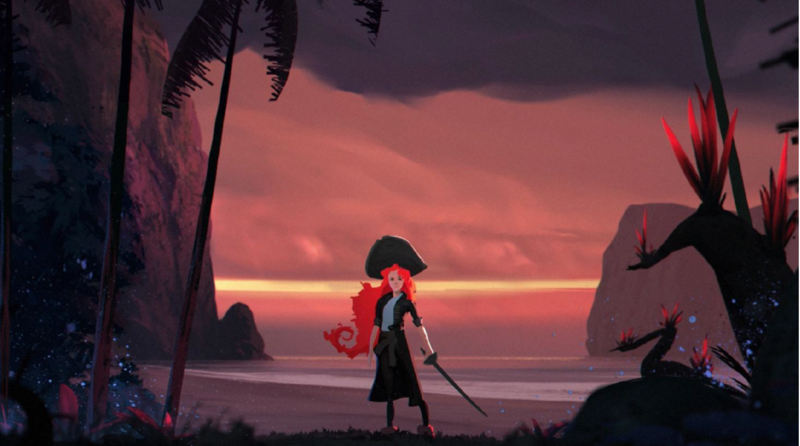 Created by the up-and-coming animation studio Engine House, Back from the Dead Red is the story of Jacquotte Delahaye, a French-Haitian pirate with luminescent red hair. To escape authorities that murdered her father, Jacquotte fakes her death. She returns with vengeance as a pirate, commanding her own fleet and going on to establish the ‘Freebooter Republic’, a pirate’s paradise. The story was adapted for the screen by Joanna Benecke, co-writer of UK rom-com Bonobo (Raindance 2014, Best British Feature nomination). Her LGBT teen comedy script Be Normal went on to reach the semi-finals of the Academy Nicholl Fellowships. “Empowering female-driven narratives is one of the cornerstones of what we do at SingularDTV,” said co-founder and president of entertainment, Kim Jackson. Blockchain brings “total transparency” to the film industry. Information is continuously synced by independent computers around the world in consecutive blocks. This makes it impossible for potential for any one party to make adjustments to valuable information, such as copyrights, revenue or streaming metrics. SingularDTV launches a digital platform powered by blockchain technology in 2019.